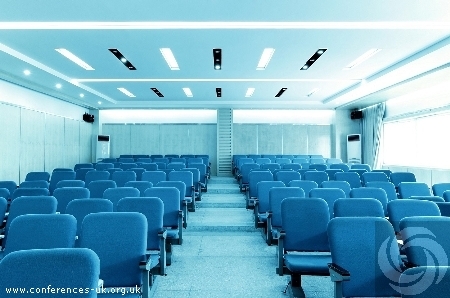 Want to know what the best conference venues in London are? Are you dead-set on hiring only the BEST venues in the region-sparing no expense? Before you write out a cheque heavier than your work desk, take a moment to define what you mean by 'best'. For some, that could mean advanced venues that have the ultimate amenities. For others, it means high-end architecture. Ultimately, however, your guests will determine if the venue you select is truly the best available. Meeting venues vary in diversity, but the following factors can help you make your event one that everyone feels is truly the 'best'. Is the location really that great? Depending on the type of meeting you're hosting, a location in the country could be fitting. You may want to take the team out of the city for a while to help them focus on the task at hand. If the goal of your meeting is to get down to the nitty gritty, however, a location in the city could very well be best. Think about what your team wants, what could help them absorb more information, and what your goal is for the meeting itself, and align your location with those definitions. Is the price worth the amenities? Sure, Wi-Fi is convenient, but is it necessary? Do you really need a full movie projection screen to share a PowerPoint slide? Heck, do you even need to have PowerPoint presentations at all? Some subscribe to the philosophy that it's better to be more prepared than not prepared enough, but that philosophy could be costing you money. Determine absolute necessities, and if any bonus amenities are included in that price, all the better. Conference venues in London offer a variety of bonuses, so you'll end up with more than you paid for either way. Entertainment & Accommodations If your meeting or conference will extend for longer than a day or two, then accommodations become necessary. Some venues will offer discounts to nearby hotels, or may even offer in-house accommodations. The Milton Keynes Conference Centre is a location that promotes unlimited entertainment and accommodations, making it a top pick for our clients. Before you sign any contracts or put down any deposit money, make sure you're getting what you paid for: And that what you pay for is what you really need.